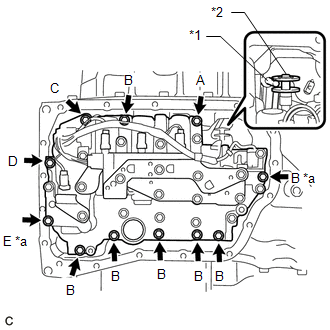 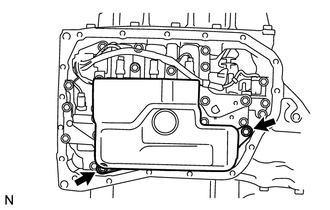 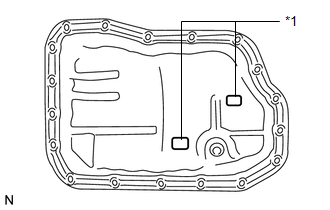 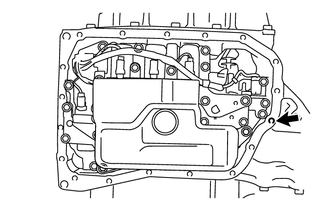 (c) Clean and degrease the bolt and the bolt hole in the automatic transaxle assembly. 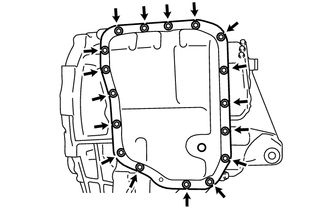 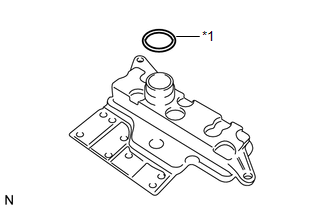 (d) Install the automatic transaxle oil pan sub-assembly with automatic transaxle oil pan gasket to the automatic transaxle assembly with the 17 bolts. 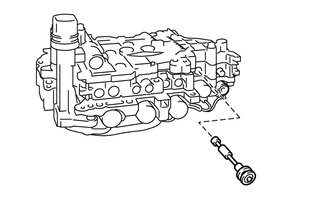 See the steps from "Install Automatic Transaxle Assembly" through "Check Automatic Transaxle System" (See page ).